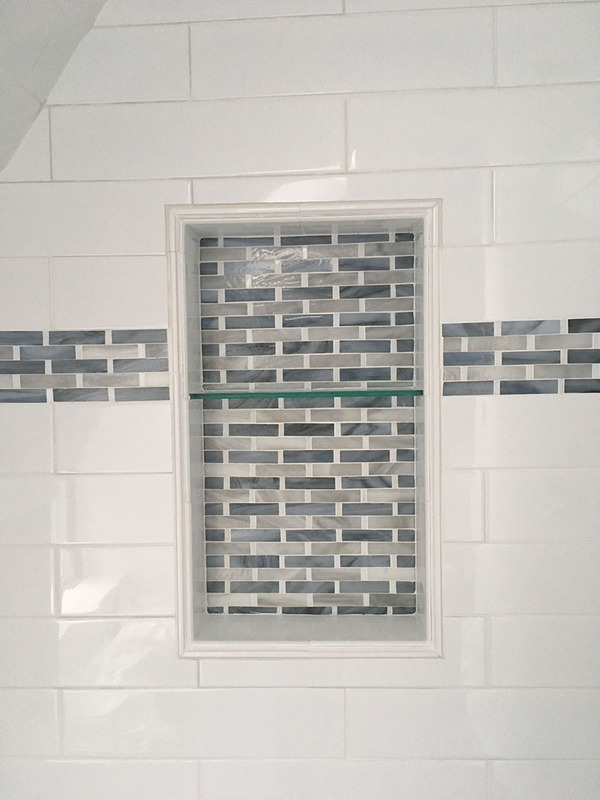 We created these mosaic border tiles and matching niche panel for a bathroom remodel. 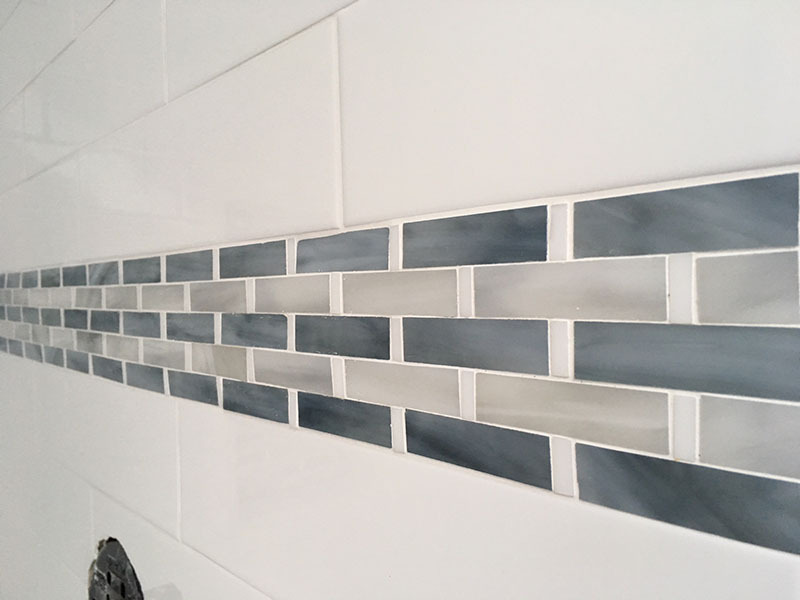 The border tiles are made from hand-cut glass tiles in shades of grays with white inserts. 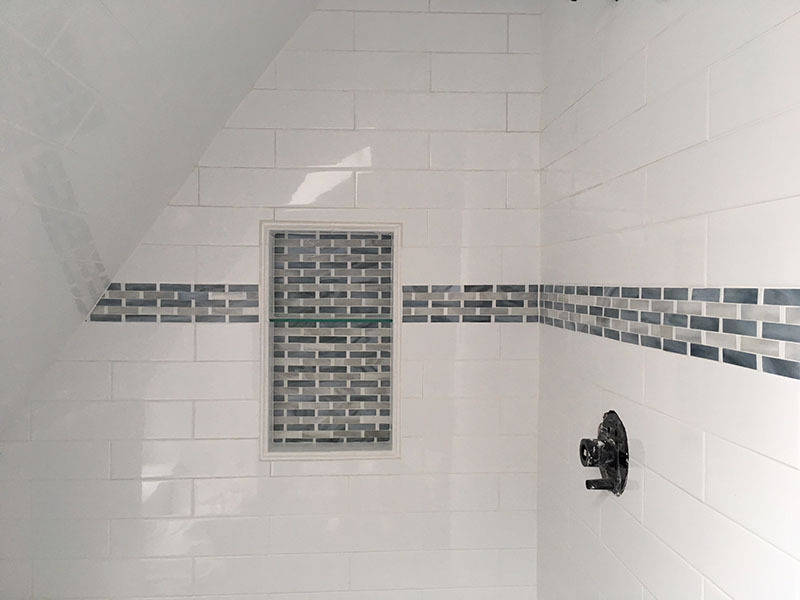 The border tiles are 4″ tall.